Lidocaine is a local anaesthetic. Chlorhexidine acetate is a broad spectrum antimicrobial, and it's effective for Gram-positive and Gram-negative microbe. Benzalkonium bromide is a broad spectrum antimicrobial, too, but it's more effective for Gram-positive antimicrobial. 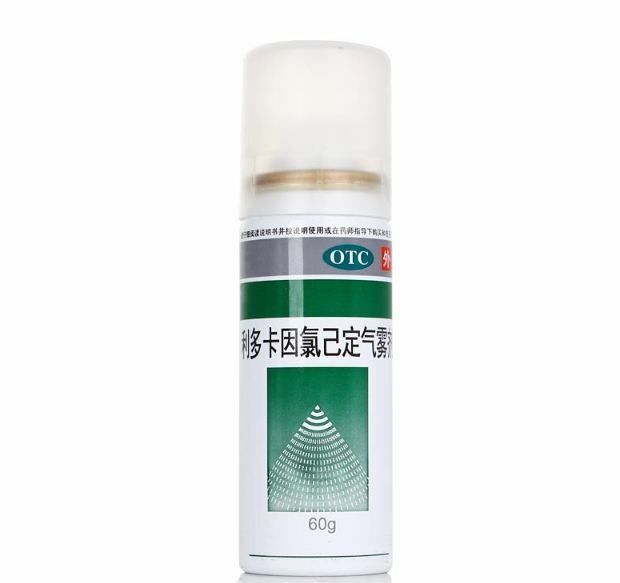 It is indicated for slight cut, contusion, parenchyma trauma, burn, bask, itch, heat rash and bite by mosquito. For external use only. Spray over 10 to 20 cm from affected part, 3 to 5 sprays each time, three times a day. On demand, maximum 15 sprays in 24hours. Dermal stimulating symptom like cautery feeling, and allergic reactions like rash, itch are uncommon. It is contraindicated in patients with a history of hypersensitivity to any composition of this product. It should be used with caution in patients with a history of drug sensitivities, especially if the etiologic agent is uncertain. It cannot be struck, heated and inhaled. Don't spray into eyes. Don't use it if the character of spray has changed. Kept out of reach of children. Please use as directed by the physician. 2. Please consult with physician for the patients receiving other medication before use it.